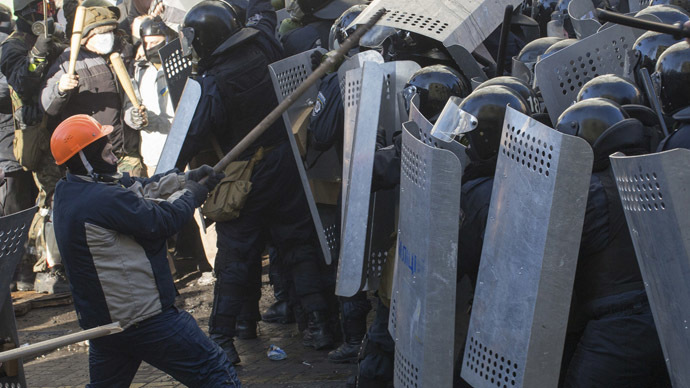 The Russian Foreign Ministry has answered SOS signals coming from the disbanded Ukrainian riot police “Berkut.” The ministry ordered the prompt issue of Russian passports for the officers, who have been threatened by lynch mobs. "The Consulate General in Simferopol has started giving out Russian passports to officers of the special Berkut forces, based on the applications it has received,” the consulate’s spokesperson Evgeniya Kaplunenko told Itar-Tass. 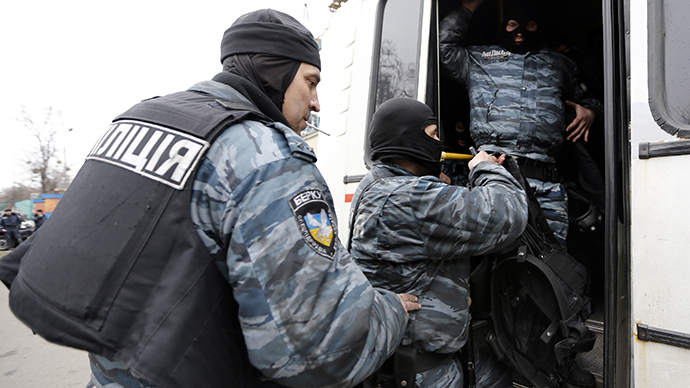 The Berkut officers who choose to get a Russian citizenship will be offered career opportunities in some regions of Russia, Russian Interior Ministry’s press-service said earlier on Friday. 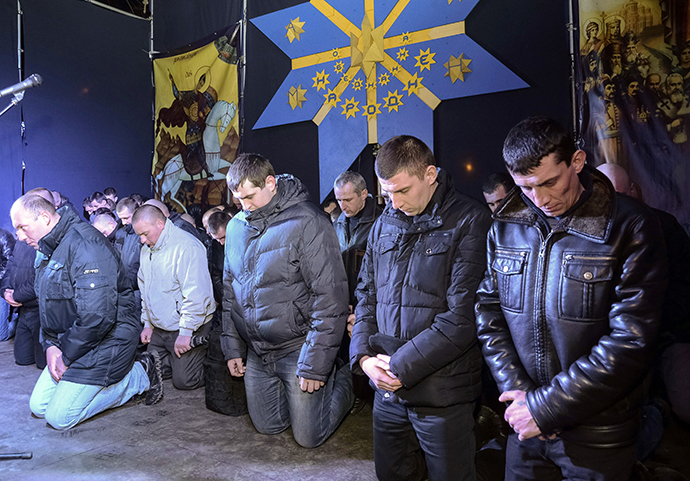 The governor of Russia’s Astrakhan region has announced that “if needed, the Region can accept, accommodate and provide social, rehabilitation and other help for Berkut officers and their families,” adding that they will not be left without employment there. Other regions have also offered help to Ukrainians in general, who found themselves in “difficult circumstances,” according to Itar-Tass. On Saturday, Russia’s Consul General in Simferopol, Vyacheslav Svetlichny, said he did not exclude the possibility of Russian passports being issued not only for ex-Berkut officers, but also for all Ukrainian citizens who wanted them. 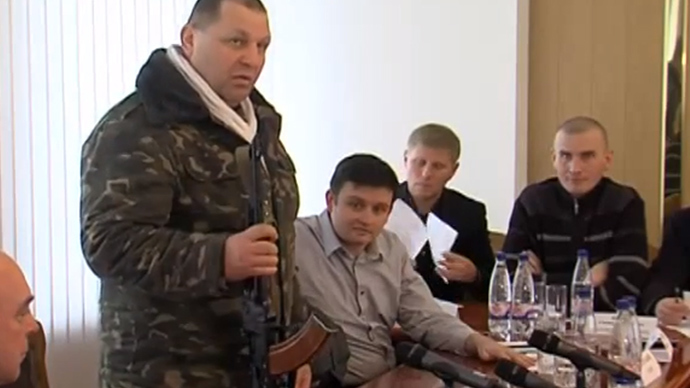 The news came as a surprise for some of the Berkut unit members, who not only were left without a job, but have also been showered with threats to themselves and their families. “The people who have come to power do not need us; to them, we are enemies. We have been threatened, they want to execute us. 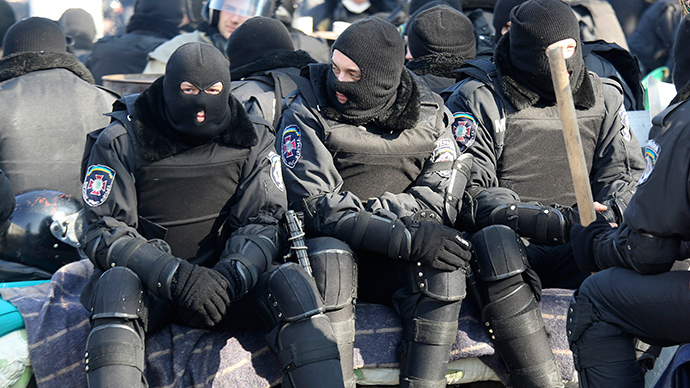 Of course, in such conditions we will be glad to receive any kind of protection,” a Crimea-based Berkut officer told RIA Novosti on condition of anonymity. According to the officer, he has only just learned about Russian Foreign Ministry’s statement, and will now spread the word to Berkut officers in other parts of Ukraine. 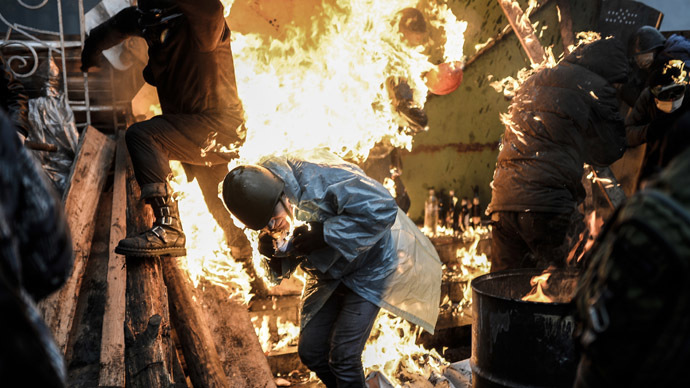 Berkut, the Ukrainian riot police that took a prominent part in trying supress the riots in Kiev, which started at the end of November, became “arch-enemies” of Maidan, have largely been demonized both at home and in the Western media. The officers in the unit are usually mentioned in connection with the brutal ejection of Maidan protesters on November 30 that they actually carried out, or are presented as cold-blooded murderers of dozens of unarmed people during last week’s bloody street battles in Kiev, which is yet to be proven. However, few mention the other side of the story: weeks of having to stand on duty and obey orders with a hail of stones, pyrotechnics and petrol bombs raining down on their heads, with groups of violent armed rioters always waiting for an officer to be separated from a group to beat him to a bloody pulp, or with some “revolutionary engineers” reportedly mixing up flammables and toxic substances behind the scenes on Maidan to test inextinguishable fire on living human beings. Berkut’s body armor, which many of the reporters cited, did not mean they were not burnt, shot in the neck or the head by the armed rioters, or had their limbs and other body parts broken. While “only” 16 law enforcement officers, including those of Berkut, were killed in Kiev clashes, hundreds more were injured, and many were hospitalized with serious gunshot wounds. However, while the new Ukrainian authorities promised the strictest possible investigation into “crimes against humanity” by President Viktor Yanukovich or into the “deaths of peaceful protesters” in central Kiev, they apparently crossed out any responsibility on the part of the armed radical groups, including the Right Sector.